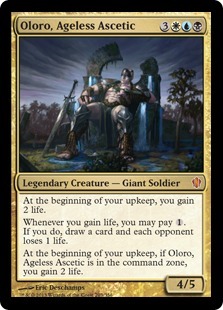 The perfect commander for my “life gain” deck is Oloro, Ageless Ascetic . He is a legendary creature that regardless if he is on the battlefield or the command zone i gain 2 life at the beginning of my upkeep. It is a perfectly broken card for a pretty broken deck. Although it is banned from french 1v1, it is not banned from anything else. this life gain deck can either slowly gain life and when you least expect it, have a life total of over 200, or it can severely take life from its opponents as it gains life. what i do is put small creatures that give me at least one life each turn like Nyx-Fleece Ram (a 0/5 enchantment creature that gives me one life at the beginning of my upkeep). Or there is Soul Warden (a 1/1 creature that gives me one life whenever another creature enters the battlefield). Another good distraction creature is Rhox Faithmender (a 1/5 creature with lifelink. He makes it to where if i were to gain life, i gain twice that much life instead). I have one specific card that can protect me from losing which is Exquisite Archangel (a 5/5 flying creature that if i would lose the game, instead i exile that card and my life total becomes equal to my starting life total). 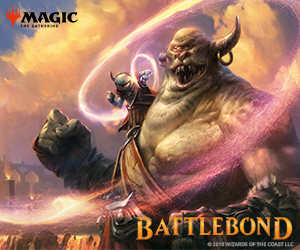 I do have an infinite combo that almost every magic player knows about which is Sanguine Bond (whenever you gain life, target opponent loses that much life) and Exquisite Blood (whenever an opponent loses life, you gain that much life). If i don’t pull Sanguine Bond i have a backup, Defiant Bloodlord (a 4/5 creature with flying, that whenever i gain life, target opponent loses that much life). 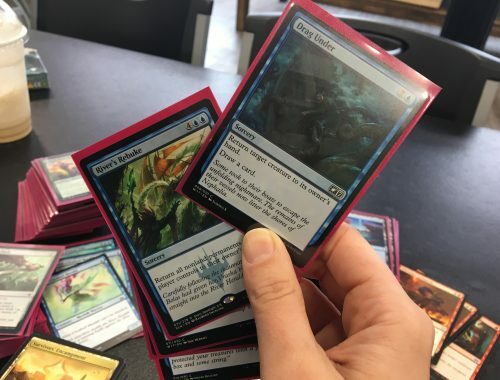 If none of that is possible and my opponent manages to get past all of that i can just cast Felidar Sovereign a 4/6 creature with vigilance and lifelink and at the beginning of my upkeep, if i have 40 or more life i win the game). Equip it with Swiftfoot Boots and i win the game!